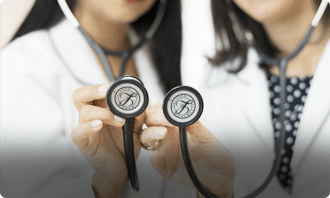 We provide a comprehensive medical appointment app development solution for clinics, doctors, and hospitals to offer a seamless appointment booking experience to their patients. Hospitals can get numerous benefits by having an online patient scheduling software solution. Ease down the appointment booking process for patients by providing them a seamless mobile app booking interface. Connect doctors and patients together with a feature-rich and customized app like Practo or Zocdoc. 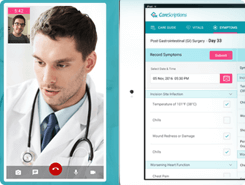 Why Launch An Medical Appointment Scheduling App? Rather than keeping your patients hanging on the phone for minutes, prepare your hospitals and clinics for the clickable future. A feature rich and comprehensive medical appointment scheduling software solution to deliver fast and reliable appointment booking experience to patients. A custom home screen that shows the most relevant information upfront. Create a profile for each doctor in your clinic/hospital with relevant information. 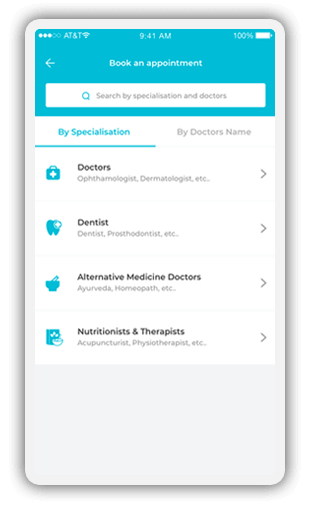 View all the registered patients in your app and manage their details. Automatic appointment reminders to your patients to reduce no shows. Automatic notification alerts to your doctors to keep them ready for incoming patients. View all the booked, cancelled, and completed appointments. Manually assign new appointment requests to your doctors and staff. Manage last minute rescheduling requests from patients with reschedule feature. View appointments for all the doctors in a visual layout on a calendar. 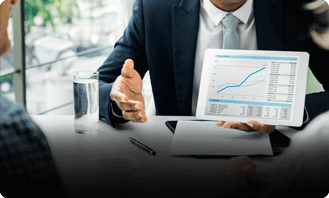 Get useful insights on peak hours, most valuable patients, doctor efficiency, and more. Patients have the option to register directly with their email id or phone number. Patients can search doctors by criteria like proximity, specialty, consultation fees, and more. View doctors’ details such as name, reviews , speciality, fees, business hours, and more. Option to view and book an available time slot. Patients can save the date and time of appointments in the calendar. Patients can select their preferred doctors and set them as favorites. Patients can select doctors on the basis of real reviews and ratings. Patients get updates for all important events via push, email, and SMS channels. Dedicated section to access all the past and upcoming appointments. A dedication section for patients to add their personal information and medical history. Doctors get their own dedicated app to view and manage bookings on the go. Doctors can view their appointment requests and type, all at one place. Doctors get reminded on the app for upcoming appointments. View details of the patients along with their uploaded health documents for consultation. Option to view status of all the appointments and add new time slots for immediate patient scheduling. Doctors can cancel an appointment by mentioning reason, if unavailable or have another emergency. 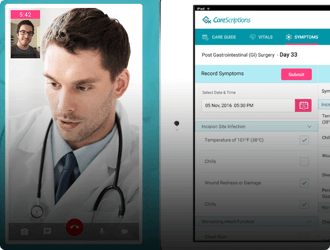 Doctors can send patients’ reports directly to their app along with the prescription. Doctors can keep a track of their earnings on a daily or monthly basis. Offer your patients a web app as an additional booking channel. 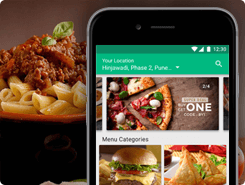 Video calling feature for on-demand consultation. 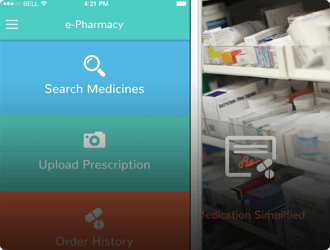 Provide patients the option to order the prescribed medicines from the app. Feature to schedule lab appointments from clinics and diagnostic centers. Patients can post health related questions and receive answers. Doctors can share prescription photos with their patients post consultation. Reminders for patients to take medicines, drink water, and other suggested actions. Feature to browse a health articles and tips from medical experts. Accepting and managing appointments via phone calls or in-person is time-consuming and inefficient. Let us empower your clinics or hospital with a custom medical appointment scheduling software to make your appointment booking process online and seamless. 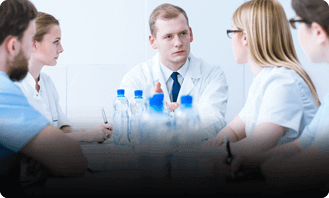 Why Choose Our Medical Office Scheduling Solution? Along with the rich feature set, there are several other key advantages of having a medical or clinic appointment scheduling software. Get a customized app and branded interfaces for patients, doctors, and clinics as per your organization’s brand. HIPAA compliant scheduling solution to ensure your patient privacy every time they make an appointment through the app. 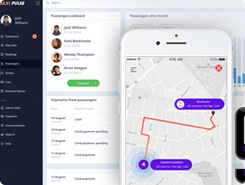 Built-in support for additional third-party software and APIs to extend the functionality of the solution. Get user-friendly interface for each stakeholder in your doctor appointment scheduling software. 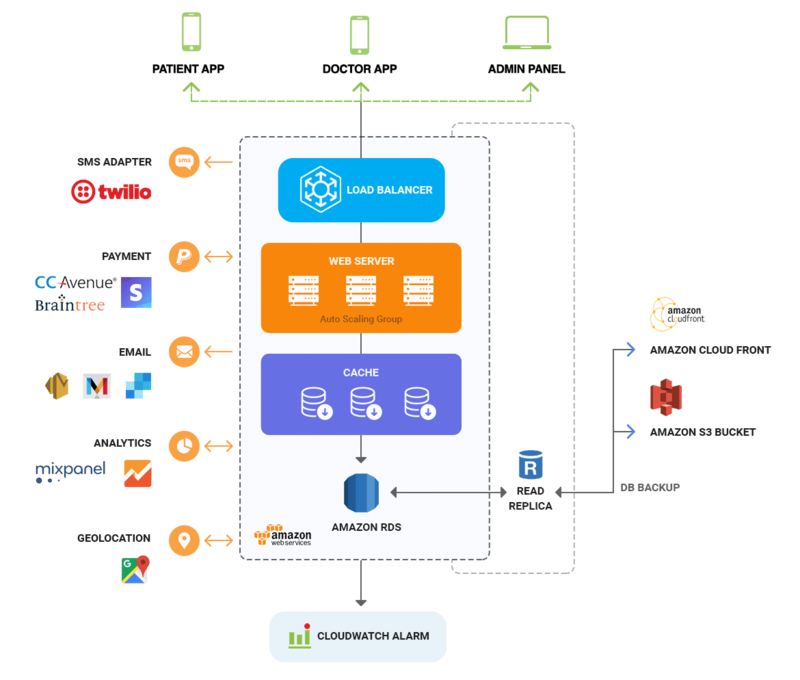 The solution is built with a robust technology stack and can scale easily. Our doctor appointment app developers will provide end-to-end support to deploy the solution for your business. 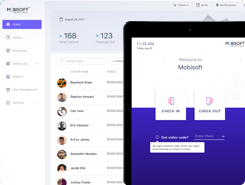 A robust and highly scalable tech stack to power your medical appointment scheduling software with rich features and powerful integrations. We have a range of pre-built mobility solutions for different verticals that are tailored to your specific business requirements. 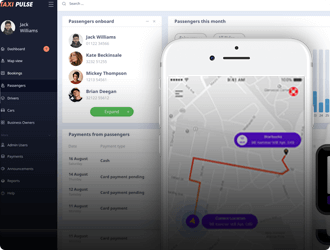 Launch a Uber like taxi app in your region with our white label taxi app development solution. We provide custom HIPAA compliant telemedicine app solution for clinics, hospitals, and healthcare startups. Launch an on-demand medicine ordering app for prescription drugs, otc medicines, and healthcare products. Absolutely. Our solution can also work for aggregator and marketplace models. 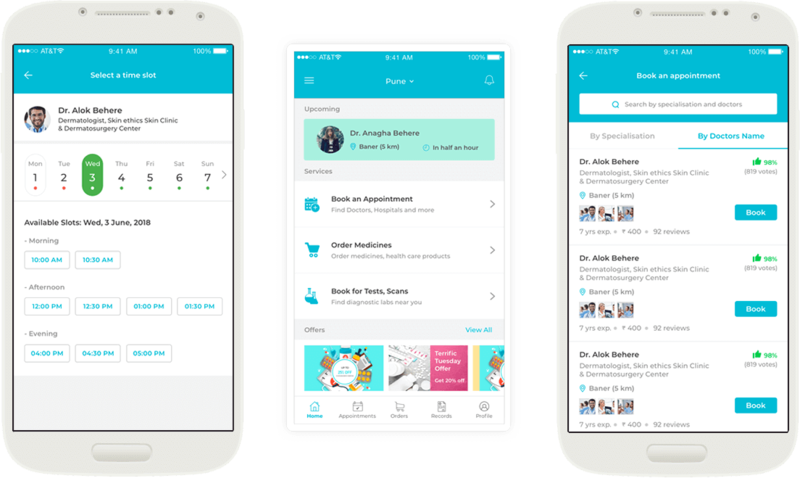 You can launch a feature-packed mobile app platform like Zocdoc for people in your area to book appointments at nearby clinics and hospitals. Contact us formedical office scheduling solution. Yes. You can have a clinic appointment scheduling software that you can use to receive patients appointments online and manage them efficiently. This will significantly save your time and enable you to attend more patients. Contact us forclinic appointment scheduling software.